You Dream it! We Plan it! We help turn your dreams into Reality! Any celebration is the beginning of a new chapter of your life. At Genesis Entertainment, we help turn your dreams into reality. With over 10 years of experience in the industry, Parth and Sunpreet have planned several events with an emphasis on detail and execution. We will manage all aspects of of your event from vendors to logistics in order to ensure it is jaw-dropping and extraordinary. 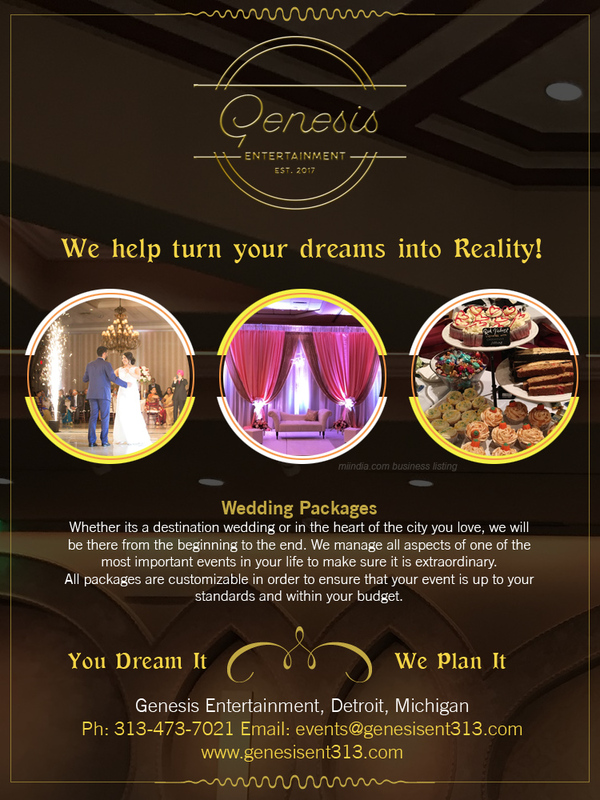 Let Genesis Entertainment help you plan the event of your dreams!